Give a hand to Uyghurs. Please help us to stop this genocide! 19 Years Old Uyghur Girls Executed! Chinese government take decision of executing 2 Uyghur girls, Fazilet Ekber (19) and Hayrunnisa Sabit (20). 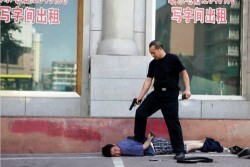 They've been found guilty (by Chinese government who is responsible for this massacre) about cases on July 5th 2009. On this date, hundreds of Uyghur people were killed and thousands of them were wounded by Chinese people. Because of censorship and blocking communication, we can't get detailed news about this two girls who are only 19!